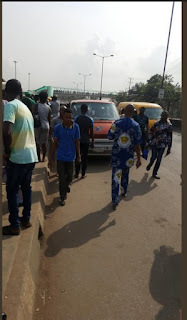 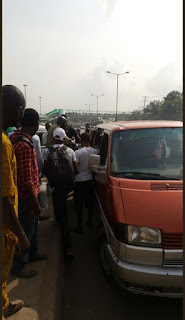 According to an online report, there was a mid chaos this morning at Berger bus stop in Lagos as police officers arrested some operatives of the Special Anti-Robbery Squad (SARS). 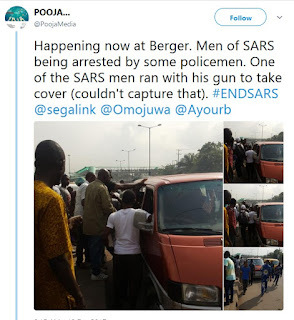 One of the SARS operatives reportedly took to his heels with his gun to evade the arrest. The SARS men were said to have been arrested following reports that they usually collect money and harass good looking men either walking or in a car.